We recognise that it is integral for CARD Group to remain fully accountable to our stakeholders in regards to our social, economic and environmental responsibilities. We hope to honour these responsibilities through our actions and within our corporate policies. We actively encourage and place value on feedback from all our stakeholders. We hope to continue this open relationship with every aspect of our business to help us to achieve the requirements outlined within this policy. CARD Group will aim where possible to be fully transparent in communicating our strategies, targets and performance in our continual commitment to grow with our stakeholders at the centre of our business. At CARD Group we all feel it is our personal responsibility to help with the implementation of this policy to realise our corporate responsibilities. As CARD Group continues to grow in every respect, we will continue to uphold our values of honesty, partnership and fairness in our relationships with all our stakeholders. We shall support and encourage our employees to help local community organisations and activities in our greater area, particularly our employee-chosen charities. We will continue operate an equal opportunities policy for all our employees, offering clear and fair terms of employment. Providing resources to enable development within their role is an important consideration within our staff policy. We shall continue to develop environmental policies and objectives as part of CARD Group’s corporate strategy. We realise that there are many ethical areas for a business to consider in today’s current climate. We think that each area deserves careful consideration by the company in order to positively affect the environment around us. We publish all of our information regarding these issues so that we can remain accountable to our stakeholders, enabling them to feel confident that the service we provide is delivered in an ethical and professional manner. We will take all reasonable steps to manage our operations so as to minimise our environmental impact and to promote a positive environmental practice. We shall regularly review our business practices and performance to identify how we can improve our energy efficiency and minimise waste. CARD Group’s head office practices recycling wherever possible, with both company and staff wastage. 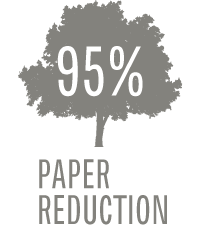 Since 2011 Card Group has reduced its use of paper for survey purposes by 95% — saving over 300,000 sheets of paper and counting! We actively promote a paperless environment by the very nature of the solutions we provide. By now using tablet technology to conduct our surveys we save approximately 1700 pages per project; over a space of a year that would be between 144,500-161,500 of pages saved by conducting market research surveys on tablets alone. 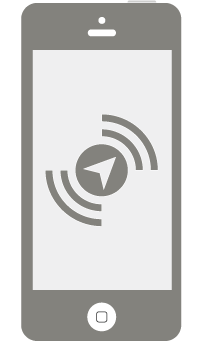 We have developed our Smart Technology Application, which allows our team members to conduct surveys on tablets without the need for a Wi-Fi or 3g connection — making CARD Group completely paperless in field work. We take the handling of all data that we collect very seriously and will only ever use it for the purpose for which it was collected. We stringently abide by the data protection act and continually try to improve the security of our data collected. As CARD Group develop new solutions, data security and integrity is central within the development process in order to allow our clients to be confident in the work we carry out on their behalf. Demographic Monitoring technology will allow CARD Group to take full advantage of the concept of people tracking but still putting the privacy of the consumer at the forefront. Our system is built on one of the core codes of conduct of the Market Research Society, and consumers will only be monitored on voluntary informed consent. We believe that our solution should operate on an opt-in approach, to give consumers the choice of who has access to their information and what will be done with it. The system is currently being developed with an Innovation Institute in Vienna, who specialise in eco-friendly technology. One of our long-term goals is to be able to provide an installation with incredibly low power consumption that relies on solar power for easy recharging, once again reducing our carbon footprint. We feel incredibly lucky to be in the position that we are today and understand that as close by as our local community there are people who are less fortunate than us. Within our local community, charities and voluntary groups continue to try and improve the quality of life for the people they serve and as a responsible local business, feel that it is important to support this great work in whatever way we can. For 2014 CARD Group’s charity of the year is Marie Curie Cancer Care. We have set ourselves an ambitious target of £3,360 to earn through fundraising and donation of company time by the end of 2014. This total will allow us to support the work of a Marie Curie care nurse 24/7 for one week. We shall support and encourage our employees to help local community organisations and activities in our greater area, particularly our employee chosen charities. We will continue to operate an equal opportunities policy for all present and future employees, offering clear and fair terms of employment as well as providing resources to enable development within their role. We shall continue to develop environmental policies and objectives as part CARD Group corporate strategy. One of the areas that we pride ourselves on is our open and welcoming atmosphere to all our stakeholders, including staff. We are proud to follow U.K. equal opportunities legislation and feel that diversity within the workforce is not a potential problem but a definite asset to the organisation. By embracing this diversity CARD Group has been able to attract and retain employees while helping to develop a creative and innovative culture which helps us cater for our customers wide ranging needs. All people no matter their age, race, gender, sexual orientation, physical ability or religious belief will be treated with respect, honesty and fairness at all times. To get the best out of your employees you must give them a work environment that they feel safe and comfortable to work in. We rely heavily on the health and safety at work act of 1974 which informs us on safety control standards and drives the development of safety control systems to monitor safety performance. For our temporary staff who are involved with the field work aspects of our business we provide all the necessary training in order to carry out their job with ease, confidence and providing adequate protection from the elements. Our market research teams are always clearly identifiable by the uniform that they are provided with and are protected within the health and safety policies of our clients that we are in partnership with.